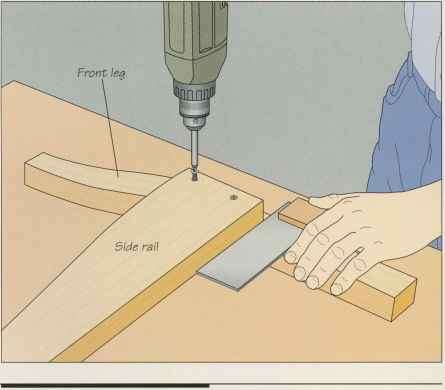 Cut the seat rails to size, then fasten one to each leg. Mark layout lines on the legs to position the rail properly: The rail should be inset from the outside edges of the legs by % inch to allow the front and rear rails to be set flush with the leg's edges; the bottom edge of the seat rail should be 5% inches from the bottom of the rear leg and 6 inches from the bottom of the front leg. 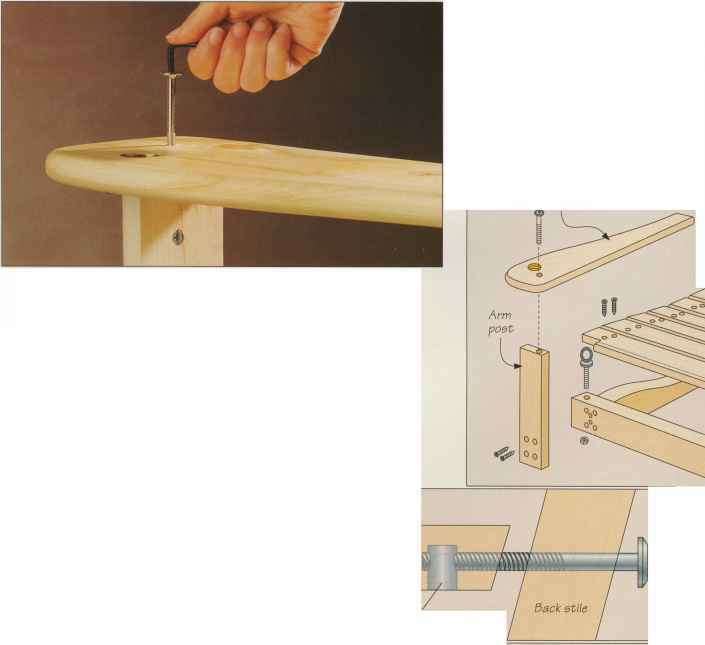 Spread some glue on the contacting surfaces of the pieces, align the rail with your layout lines, and use a try square as you fasten the rails to the legs to ensure that the bottom edge of the rails remains perpendicular to the outside edge of each leg (right).